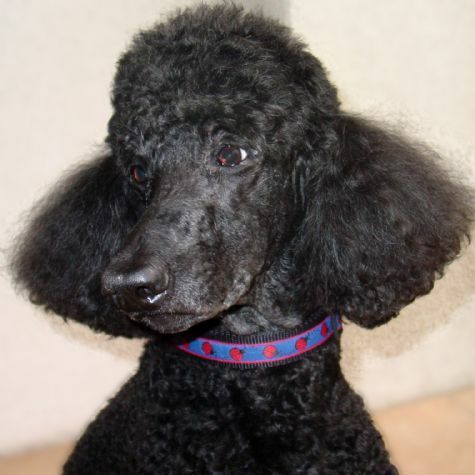 I�m a black Standard Poodle named Raven. Mom found me at a rescue. She hugged me and I licked her face, and she said, �That�s my dog!� Mom knew that my calm nature and sweet disposition would make me a great therapy dog. Because I had never been trained, Mom and I went to classes for one year. Then we joined Love on 4 Paws, and I found the job I was meant to do. Mom soon realized how intuitive I am; I know what to do without being told. Now she trusts me and lets me follow my instincts.